The sum of nine whole numbers is 1000. 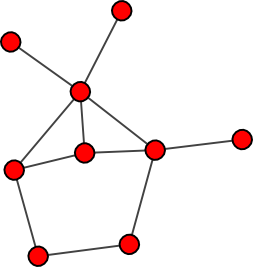 If those numbers are placed on the vertices of this graph, two of them will be joined by an edge if and only if they have a common divisor greater than 1 (i.e. they are not relatively prime). In non-decreasing order, what are those nine numbers?